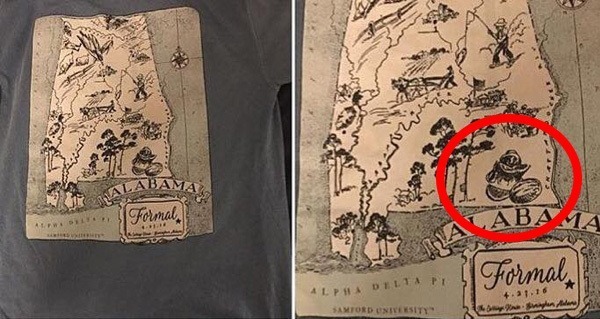 The Alpha Delta Pi sorority at Alabama’s Samford University recently produced a T-shirt for their spring formal (above) — and it’s shockingly, hideously racist. The shirt, portraying a state map of Alabama adorned with images from the state’s past, appears to depict both laborers (slaves, perhaps) picking cotton and, most prominently, a black man eating a large slice of watermelon. That apology and an email from Samford President Andrew Westmoreland to all students and faculty are the only statements from the university that have gone public so far. 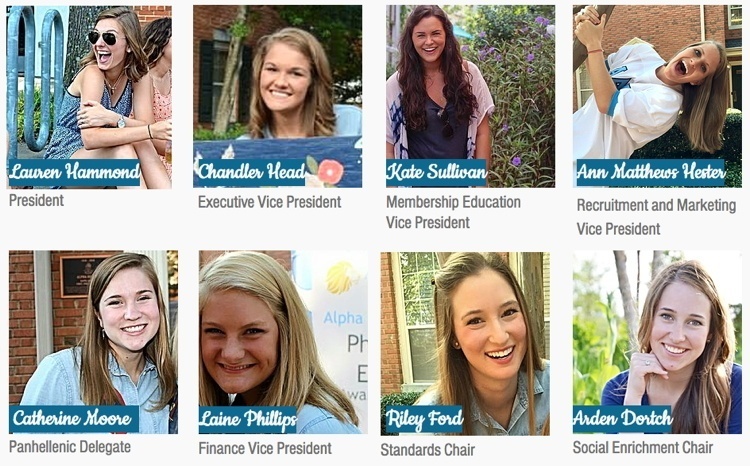 The Samford chapter of the Alpha Delta Pi sorority has released no statement as of yet. In absence of any word from the sorority, we have only the university’s claim that Alpha Delta Pi submitted the shirt to Samford for review, had it denied, but went ahead and had it made anyway. Next, take a look at these harrowing images from 1830’s anti-slavery almanacs.